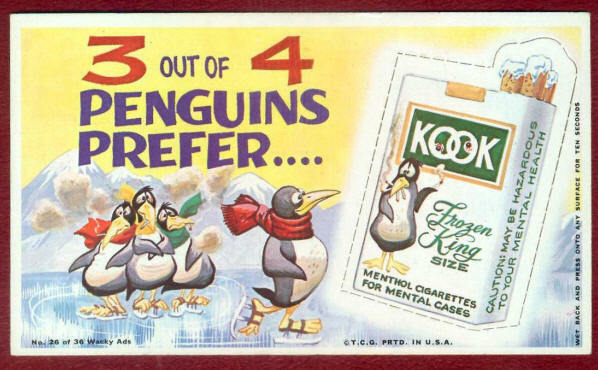 The Wacky Ads were die-cut in two different ways. The "Long Perfs" came out first and included Good & Empty. The "Short Perfs" were issued after G&E was dropped. Wacky Ads Rough Art Found No rough art has been found, however it appears that the artwork on the first box was taken directly from the roughs.